HP has expanded its Designjet Z-series portfolio with the launch of the HP Designjet Z5400 PostScript ePrinter. The multi-roll, large-format ePrinter has been designed to help copy shops increase their print offerings and address a wider range of requests without a large capital investment. Copy shop customers expect quick turnaround times and prints with consistent colour tones and image quality. The HP Designjet Z5400 PostScript ePrinter features HP Multi-Dimensional Smart Drop Placement Technology, which provides increased levels of colour accuracy for reliable operation. Based on automatic drop detection and intelligent masking capabilities, the technology detects then corrects ink placement errors during printing to increase efficiency and reduce waste. Copy shops can employ HP Instant Printing PRO to preview, crop and easily print PDF, PostScript, HP-GL/2, TIFF and JPEG files. 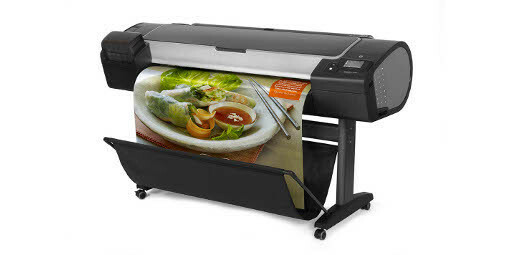 Additionally, the web-connected HP Designjet Z5400 features automatic software updates, USB flash drive or email printing, as well as a colour touch screen and print preview for quick checking of prints. The HP Designjet Z5400 PostScript ePrinter allows copy shops to produce durable, water-resistant prints that can last up to 200 years. The HP ePrinter uses six HP Photo Inks with three different shades of black to produce quality colour and black-and-white images with up to 2400 x 1,200dpi. HP Designjet Z5200 PostScript Printer: With eight inks, this device is suited for copy shops that have a demand for high-quality, graphic print jobs with an affordable solution. HP Designjet Z3200 and Z2100 Photo Printers: These two printers, with 12 inks and eight inks, respectively, provide high-impact, long-lasting colour prints with a wide colour-gamut for pro labs, photography and graphic design professionals.